Learn different tips on how to get free ptc referrals for your ptc programs, increase your earnings from ptc. So friends you read how to do earn from ptc business model and how it works but 100% pure success in PTC business is by getting referrals. But getting referrals for a ptc business is a very difficult task but we have to refer others to increase our earnings from ptc sites. www.onlinehomeincome.in provides here the easiest way to refer others to PTC business, I invite every one of you use our opportunity and get referrals. 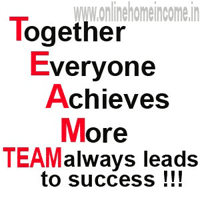 Referrals are those peoples who are doing the same work in PTC but one thing is they have joined and work for you. Moreover, you will get a percentage of their income normally 10% to 50% because they are your referrals. The income from referrals is higher but it is the biggest challenge for many PTC users especially for newbies. www.onlinehomeincome.in provides here the easiest way to refer others to PTC business. If an individual wants to earn a handsome income, then he / she needs a lot of referrals to earn. PATIENCE AND PERSEVERANCE IS THE KEY TO SUCCESS.Be patient in building a decent down line to earn more form PTC. Once you joined and started to work, tell your friends, neighbours or colleagues about this business. Ask them to try because it doesn’t need any investment. Asking them is not worth a lot to do, you can just say: “They can have an extra opportunity to earn a handsome income”. You can also use online social networking sites like Facebook, Yahoo, Twitter, MySpace, Linkedin, orkut by using your referral links and banners. But don’t spam or it might lead to removal or banning of your account. Even your online friends can remove you from their friend list. Creating a blog or website about this PTC business is the most challenging task but exceptionally this is found to be the reliable way of acquiring more referrals. Moreover, write an article about your PTC experience and add some tips in your website along with your referral banner and links. There are lots of free blog or website platforms available with easy user interface. Even a newbie can build a website. You can start your blog or website here. Sound knowledge about the PTC sites will help you generate referrals more and more. Register with them. Then create a name and a theme for your blog. Now start publishing your posts. If you already have contents then it will take around ten minutes to publish your blog. These blogs offer some tutorials on how to start, design a blog and publish it. Go step by step carefully and create and publish your blog. Traffic exchange sites are simply behind an idea that you surf others site to earn credits for advertising your site to earn referrals. Simply, when you visit a site you will get same amount of visits for your site. Referral builder also works the same as traffic exchange but the difference here is that you can publish your signup page in turn of viewing their signup page. Comparing to traffic exchange, referral builder offers more clicks to get more referrals. All these websites work on basics of earning credits for viewing others website or their online products. We can use that earned credits to advertise our website or PTC site to get referrals. All this takes up to a hour of work daily. Use this strategy to gain more referrals. 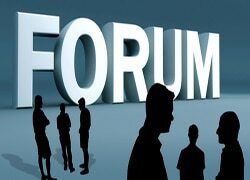 Referral exchange is simply called trading of referrals normally in forums. That is you become someone’s referrals for any site and they become yours for a different ptc site. Eg: If you need a referral for a site then you have to open a thread “I need referrals for my ptc website”. If anyone is interested they will reply. Let them join you and in turn you register with his referral link. This method works well in case of ptc sites and you will get very active referrals for your site because they need an active referral and in turn you receive the same. Renting un-referred members from PTC sites is the most popular way to earn income. 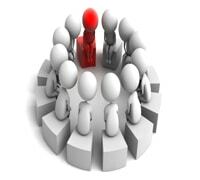 There are many PTC members who join directly to PTC and those members are available for sale. You can purchase or rent them for a price set by PTC website usually $0.1-$1 per referral for lifetime or rent them for a month or more. If you have more capital to invest, renting referrals is the easiest way of earning a huge income from PTC. As your down line grows, your income grows too. Remember, most PTC sites does not offer any guarantee that their rented referrals you buy are active. Eg:- If you buy 50 referrals only 10 or 20 will work for you. So, renting referrals is at your own risk.Remember, purchase referrals only from a trusted PTC sites because some scam sites are selling bots as referrals for purchase. Please be careful in investing money for getting referrals. Many ptc site members advertise their referral links in the same PTC sites in which they are working and found it to be much better than other methods. At your start of PTC business, instead of cashing out your earning, use it for advertising your referral links and banner to drive more referrals. Try to advertise new ptc sites in old PTC because it is difficult to get a referral for an old legit PTC as already lots of people are members of that sites. If you advertise new ptc sites, surely you will notice a change in a short period of time.